3) Building of Internal and External Capacity. NORC is currently seeking to hire three (3) positions for this activity. (1) Survey. Specialist to support all quantitative data collection activities including instrument design, selection of data collection firms, training of enumerators, oversight of field work, and data entry and analysis. (2) Learning and Adapting Specialist who will provide technical assistance and training to implementers and Tanzanian Institutions. (3) Local Institution Specialist, to work closely with the Tanzanian government and private sector organizations to prepare development plans, provide training and technical assistance in M&E, coordinate capacity building and serve as liaison for their relationship with the project. The assignment is based in Tanzania, and is a full-time position over a multi-year period. If you are interested in applying for any of the above positions please contact Sewit (Tesfaselassie-sewit@norc.org) for more details on the required qualifications for this position. We come to work to foster sustainable development and advance human dignity globally. We each contribute uniquely in advancing our mission, whether by working in different sectors or by supporting global operations and management. We strive for efficiency, effectiveness, and meaningful results across our work. 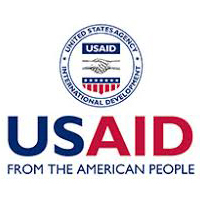 We aspire to lead international and US Government efforts to advance the economic, political, social, and environmental well-being of the world’s most vulnerable people. We continually seek to improve our operations and increase our impact. We take pride in our work and our accomplishments. We are honest and transparent, accountable for our efforts, and maintain a consistently high moral standard. We are ethical in all that we do. We are fair with colleagues, partners, and those we serve, building relationships of trust. We demonstrate respect for one another, our partners, and the people we serve in communities around the world. We recognize and acknowledge the strength that comes from diversity. We value all people equally and treat others as we would like to be treated. We consistently demonstrate professionalism and respect in our communications and in our behavior. We elevate all voices striving for global economic, environmental, and social progress. We seek to ensure that all voices are heard. We strive to strengthen the voices of the marginalized and vulnerable. We value every team member and seek to ensure everyone can fulfill their potential. We value our differences and draw strength from diversity. We support programs that engage people across societies and benefit whole communities and countries. We value every member of our team, learn from their experience, and foster their active engagement. We advance equality, foster equal opportunity and address inequality within our Agency and in our work. We seek to improve ourselves and our work continually through reflection and evaluation. We design and assess programs with an eye towards constant improvement. We recognize that professional development is fundamental to team satisfaction and success.